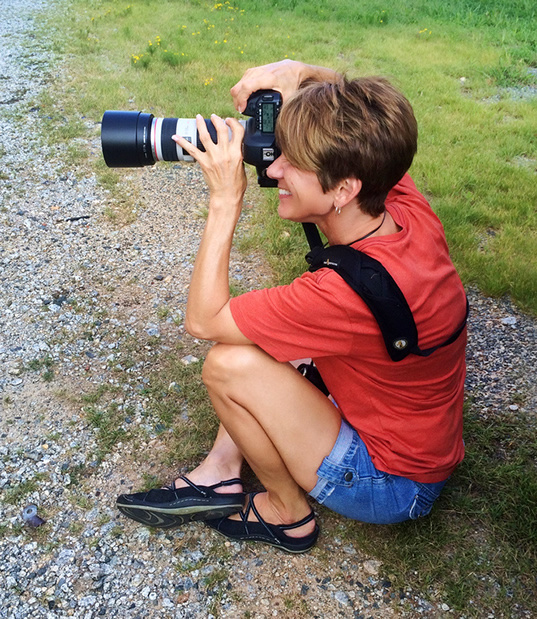 Hi, I'm Gina Childress, owner of Picture This Photography. I live in the small town of Kernersville in the triad area of North Carolina. I'm a wife and mother and lover of all things outdoors, a runner, a flower gardener, a bird watcher, a scuba diver and a people person. I've had a camera either in my hands or at my fingertips since my twins were born 31 years ago. I wanted to capture every special moment that has passed so quickly. After parenting began to take less of my time, I decided to get serious about my passion. I purchased professional equipment and began to practice and learn. By 2002, I felt I had the skills and desire to photograph professionally. Since then, I've earned my designation as a Certified Professional Photographer (CPP). This means I have completed an intensive program that measures artistic and technical competence. On a national level, fewer than 3% of professional photographers are certified. I sought out this certification because it holds me to a higher standard. Just as doctors, lawyers and other professionals seek certification in their industries, I wanted to show my potential clients that I am qualified to be the best photographer for them. I LOVE WHAT I DO and it's incredible to be able to record special times and magic moments for people and get a rush doing it! Thank you for stopping by, and I hope I get to be a part of your life!